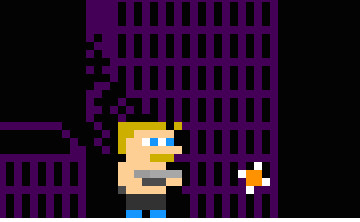 "Contra" is a well known classic game, it has witnessed the childhood of several generations. As for me, it also accompany me to grow up. All the exquisite pictures and fierce fighting scenes can let a person’s blood boiled with indignation! In this new game with the old memories, guys, what are you waiting for? Let's go into the familiar world! What you have to do is using your reasonable control and proper skills to shoot out all enemies. For me, it is quite an interesting game and the guys who like these kind of games must have a try! You can play Uber Commando free online shooting games at fogames. 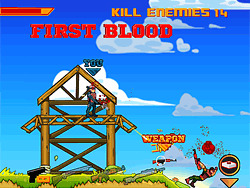 It has tags: Arcade,Shooting,Action,Purchase Equipment Upgrades,Side Scrolling,Running,. It has 1836 total plays and has been rated 81.2% (5 like and 1 dislike), find the fun and happy day. If you want to play more shooting games, we find some of the game: Mini Commando, Strike Force Commando, Final Commando and Uber Pool. To play other games, go to the arcade games page, the shooting games page, or just check out the new games or best games page. Play Uber Commando online games, Fun and Happy.